Our 2016 Golf R in white is the perfect vehicle for anyone who loves speed, style and performance! Priced to sell at $32,995 this vehicle was impeccably serviced and maintained by its previous owner. The vehicle comes with Navigation, Backup Camera, Heated Seats, gorgeous after market performance tires and much more! In it's safety, Volkwagen of Windsor provided a 60k service and oil change, new wiper blades, a fluid flush and brake inspection! 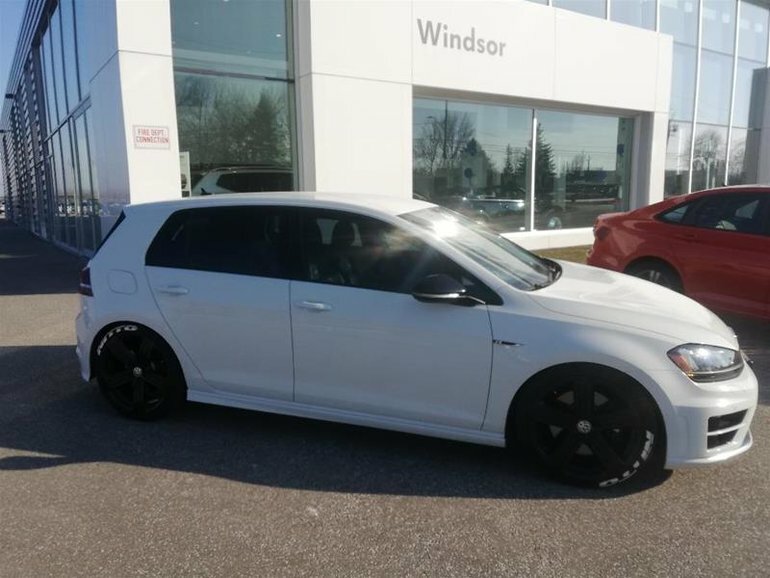 Come to Volkswagen of Windsor and test drive this gorgeous piece today! Volkswagen of Windsor is committed to providing the highest levels of customer service through our unsurpassed knowledge of the Volkswagen vehicles that we sell and service. We are very committed to building relationships with our customers and for them to become a part of our Volkswagen family where we treat you like a friend and family member, not a number! Did you know that we take ANYTHING in on TRADE? Interested by the 2016 Volkswagen Golf R 5-Dr 2.0T 4MOTION at DSG ?